Meetings are terrible. Here's how to fix them. Pick a challenge (if one hasn’t picked you). Prepare materials and space: you’ll need markers, sticky notes, a room with wall space and a writing surface (like sticky note sheets, an easel with a large notepad, or a dry erase board). Some background music that isn’t distracting (no Led Zeppelin) is a nice touch. Invite your participants, clearly state the challenge, and list your agenda/activities for the meeting, as well as the outcomes you expect. Supplies + space: Markers, sticky notes (we use a variety of sizes, but you can use what you have), post it sheets (you can use an easel and large notepad, or dry erase board), plus wall space. Note: ignore all the filled out stickies on the wall—they’re from projects currently underway. 2. Write down challenges (5-7 minutes). Have each team member write their most important challenges without talking. Write one challenge per sticky note. We use 3x3” sticky notes and markers. That’s a small writing area with a blunt implement. And it’s on purpose so people have to keep it concise. The goal is to convey the core meaning of the challenge in as few words as possible. Encourage people to add a sketch in addition to words. If they can create a sketch and no words and still convey the meaning, awesome. If the team ends before time’s up, move to the next step. If the team runs out of time, use your judgement: a handful of challenges should be enough, but sometimes a 3 minute time add-on can win you points with your team (if you can spare the time). That goes for the rest of the activities and time limits suggested below. Challenges! 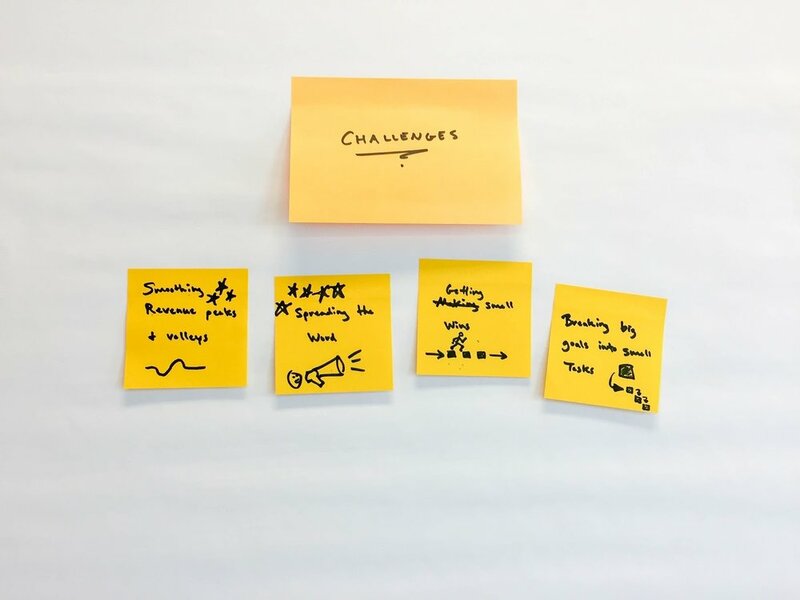 Have your team write one challenge per sticky note. Fat markers and small sticky notes force you to be concise. Add visuals where possible to clarify meaning. And no talking. 3. Vote (2 minutes). Have your team vote on the challenge they think is most important (or time sensitive, or whatever criteria you feel is most important given your goal for the session). Sometimes we use sticky dots to vote. No dots? No problem. 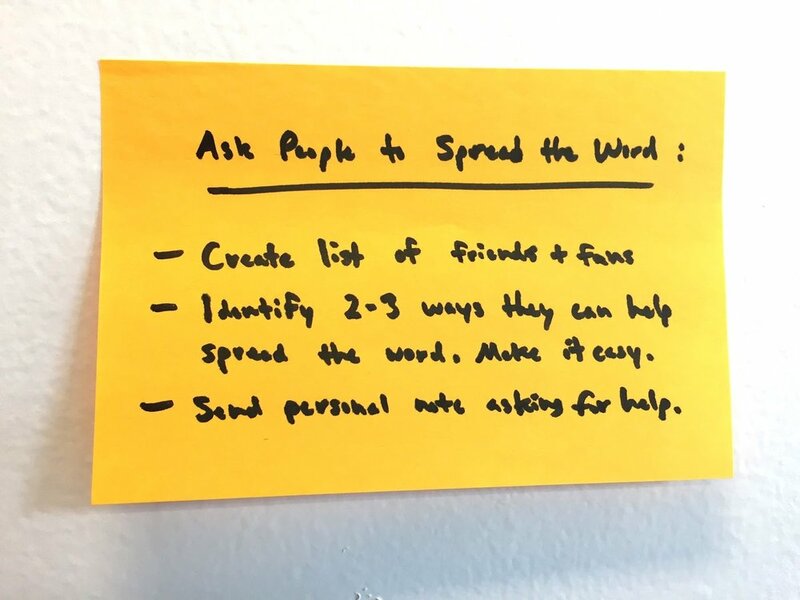 Simply have your team add stars (or whatever shape you’re into, no judgement) to the sticky notes. Each star = one vote. Give each team member 2-3 votes. This exaggerates the scoring, helping to distinguish the studs from the duds. This also gives your team the ability to pick more than one challenge. They can add all of their “stars” or votes to a single challenge, or spread them out. It’s up to them. Just don’t talk. Don’t debate. Just vote. If there’s a tie, designate someone to break the tie. Don’t belabor it. Just pick one and keep moving. You can always pick up another challenge after addressing the first one. Sometimes we use sticky dots to vote. If those aren’t on hand, have your team star or mark the challenges they think or most important. Give each team member 2-3 votes, with one dot (or mark) = to one vote. Your team can choose to load up a single challenge with all of their votes, or spread them out. Just don’t let them talk! 4. Reframe challenges as opportunities (1 minute). Take the challenge you selected and move it to empty space (or move the unselected challenges someplace else). 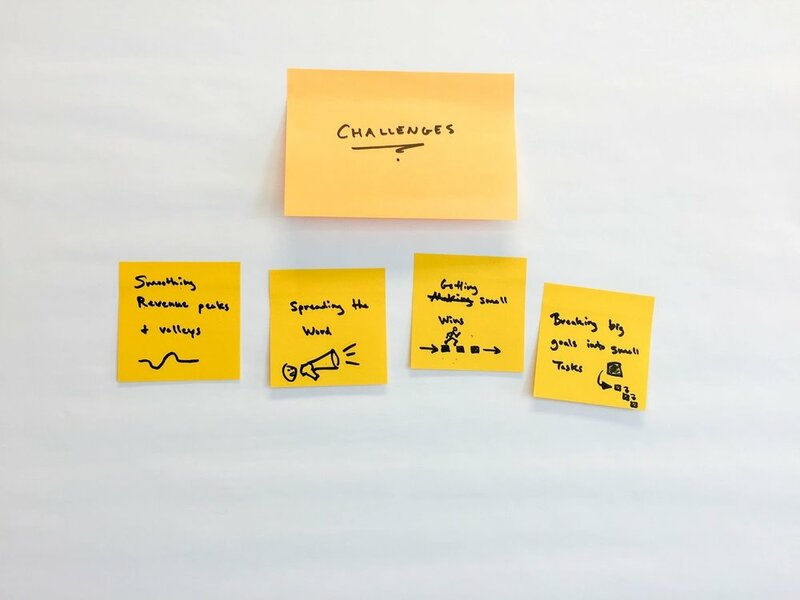 On a new sticky note, reframe the challenge starting with “how might we” or HMW for short (which takes less sticky note real estate). Starting with “how might we” can be awkward at first, but it’s a construct that will grow on you and your team. Why am I so confident you’ll pick it up? Because it’s incredibly useful. Ask someone “can we tackle challenge X” and you get a binary response: yes or no. Same for “should we tackle challenge X.” But ask someone “how might we tackle challenge X” and you get a different response. It provokes possibility and exploration. Its success is partly due to its awkwardness—it’s not a natural or frequently used construct. Its lack of familiarity grabs our attention and leads us to think differently about the question. It’s also the perfect launching point for generating ideas for tackling the challenge at hand. The selected challenge gets moved to an empty workspace. 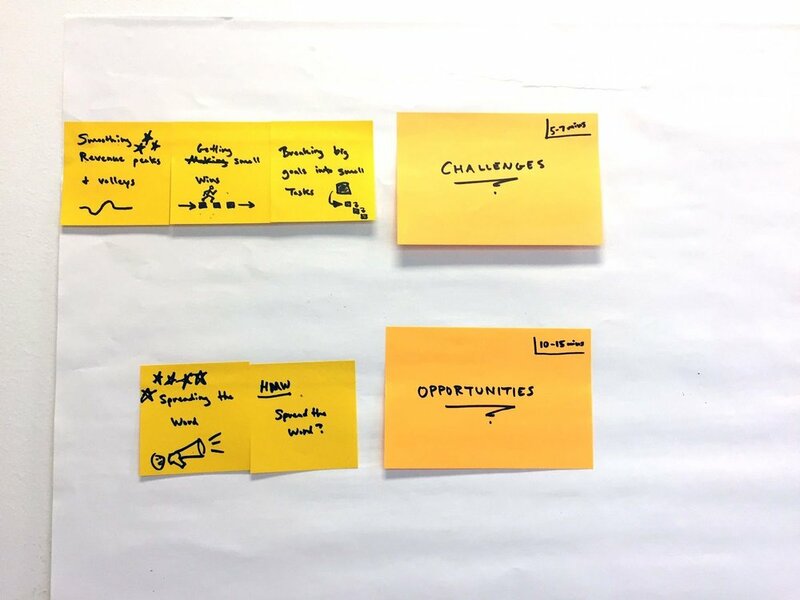 It’s then reframed as an opportunity using “how might we…” as the starting point for generating ideas (in the next step). There’s a ton of great idea generating activities out there. 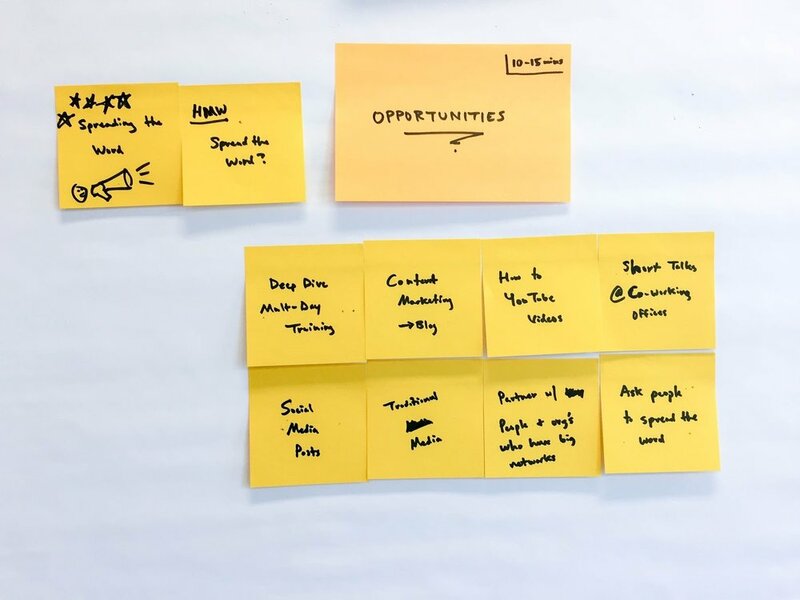 We don’t like to run a ton of them for a fast-paced decision sprint, but we do see value in pulling in constraints and other elements from these activities to ensure your team generates plenty of ideas, including crazy, non-obvious ones. The crazy ideas may not win out, but they just might spark something genius that will. Reserve judgement. Evaluation will come. Now is not that time. Now is the time to be Johnny Appleseed and throw idea seeds everywhere. As noted above, our human brains are terrible at both creating and evaluating ideas at the same time. So separate the two. Direct your team to go wild with ideas and be sure to create a safe space for doing so by making it clear that wild ideas are preferable to safe ideas, and that judgement is outlawed. As mentioned in the paragraph above, wild ideas that smash two or more unlike elements often spark new and original thinking, which is the stuff innovation is born from. Now go do it! Have your team place their ideas on your workspace. This example has just a few. You should have more (much more). You can group or even combine similar ideas before voting (in the next step) to avoid diluting votes. Use your judgement to map and curate the list of ideas. Just don’t overthink it. 6. Vote (2 minutes). Repeat Step 3 above to have your team vote on their favorite or best ideas as determined by each team member. Bump up the number of votes (maybe 5-6) per team member since there should be a lot more sticky notes to choose from when compared to the number of challenges you developed in Step 2. Option 1: Select one (2 minutes). As you did in Step 3, have your team vote on their favorite or best ideas as determined by each team member. Bump up the number of votes again. Option 2: Use a 2x2 matrix (5 minutes). On a sheet or dry erase board, sketch the matrix shown in the image below with “impact” on the left (y-axis) and “effort” on the bottom (x-axis). Grab one of the top voted ideas (those with one star or more). 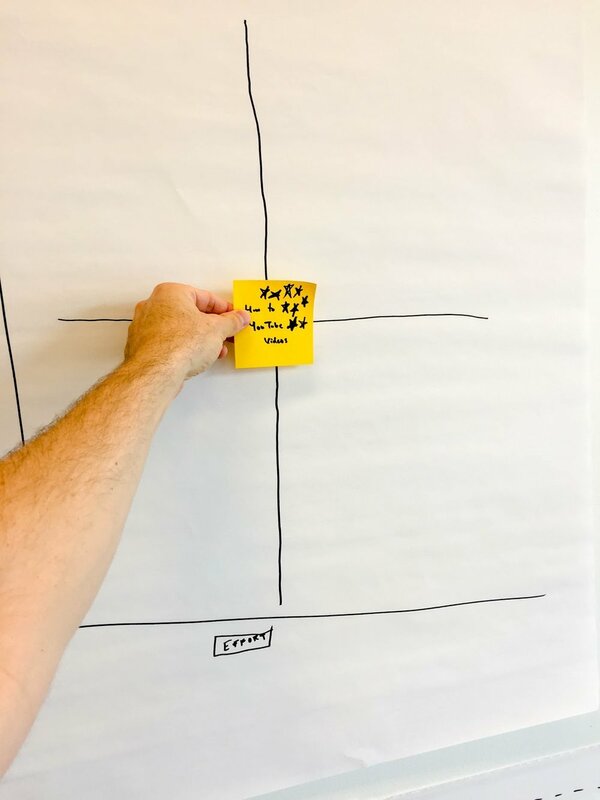 Start in the middle, then have team members say “higher” or “lower” (on the y-axis) until they roughly agree with the placement of the sticky note in terms of its impact. 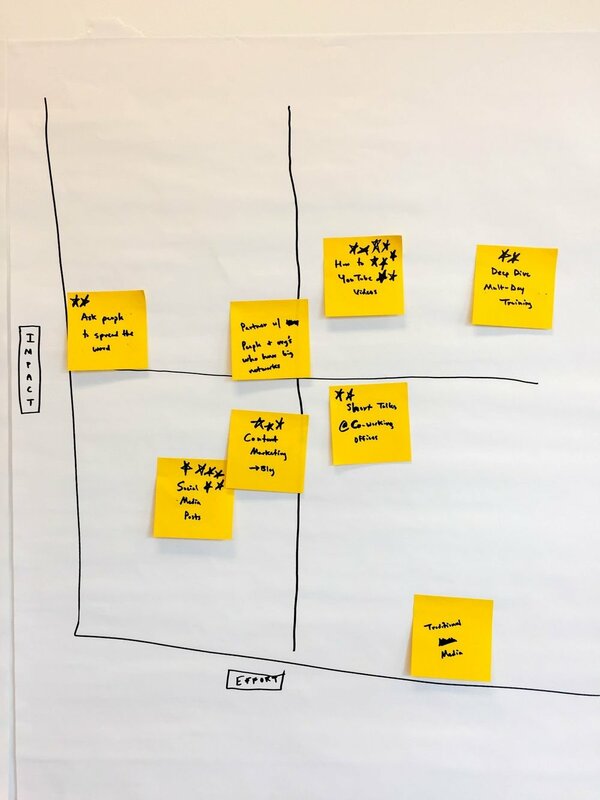 From that point, have team members say “left” or “right” (on the x-axis) until they roughly agree with the placement of the sticky note in terms of the effort required to implement the idea. Place the sticky note in that spot, then repeat this for the remainder of the top voted sticky notes. The end result will be a set of sticky note ideas spread across the matrix. Those in the top-left are high impact, low effort ideas. Those are in the sweet spot and you should pay attention to those. If none fall in that quadrant, you’ve got choices to make: high impact and high effort ideas, low impact and low effort ideas, or go back to Step 5 to generate more ideas. The same applies if all your ideas are low impact and high effort! There is talking here—low, high, left and right—but that’s it. No discussion. Just those four words to complete your matrix. For illustration, we mapped all of our ideas (we were moving fast and stopped after just eight). But we suggest you only map and evaluate your top voted ideas (those that got one or more votes) as a way to narrow down the pool of ideas to a more manageable level. Doesn’t Option 1 skip the evaluation part? Why not do the 2x2 matrix every time? Here’s the thing, we’re savvy creatures. Give us criteria for choosing among competing ideas (or challenges, or anything) and we’ll figure out a way to justify our favorite idea every time. Plus, voting is evaluation. Rather than debating or agonizing over specific criteria, let people use the personal criteria they already bring to the table based on their worldview, life experience, passion, and so forth. All of these factors and more play into your team’s choices. Also, I’ve seen the 2x2 matrix flop miserably with large groups. I helped design and facilitate a workshop overseas for a large U.S. government agency. We had upwards of 60+ people in the room that included the client team plus a ton of experts from other organizations. We ran the 2x2 matrix and it was not pretty. This is not to knock the tool. It works great with small teams. So if you’re a small team (8 or less), or can break into small groups, it will work for you. In larger groups, you’re likely to get a shouting match with starkly different points of view battling it out. The loudest voices will win out, and everyone will walk away frustrated. In the end, we made it through our session unscathed, but we learned our lesson. 8. Pick and build (5-7 minutes). If you chose to do the 2x2 matrix and haven’t picked a single idea yet, do so now. Pick one of your ideas (hopefully from the sweet spot). If you have two or more in the same sweet spot, just pick the far right one. Don’t discuss or debate this. Just pick one. You can always go back later and select another idea after implementing your first idea. Now direct your team to spend several minutes working independently to rough out the step-by-step details for how you might implement your selected idea. When complete, have them map their steps on your workspace and compare similarities and differences. Help your team merge, remove or revise steps to converge on a single, unified set of steps for implementing your idea. Or if the idea is small enough, ask a single team member to take ownership of creating these steps. Divvy up any tasks and set deadlines for completing your tasks. For big challenges on client engagements, this last step can be a lot more involved and may require a set of activities with careful facilitation. But for a quick decision sprint with a small project team, a lighter touch should still serve you well. Whew, you made it to the end! Decision sprints can seem like a lot of steps the first time around. But it’s a really simple, effective, and fast way to reach a decision that avoids the meeting pitfalls that bog so many of us down everyday. A little planning and structure will go a long way into making your team much more productive. Give it a try as an alternative to your next meeting and drop us a line to let us know how it went. Happy Decision Sprinting! 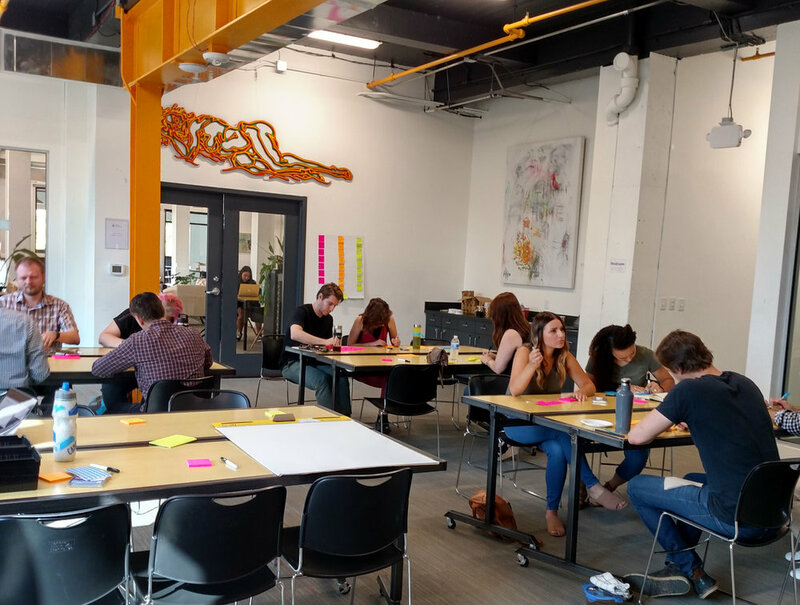 Want to see a Design Sprint in action? 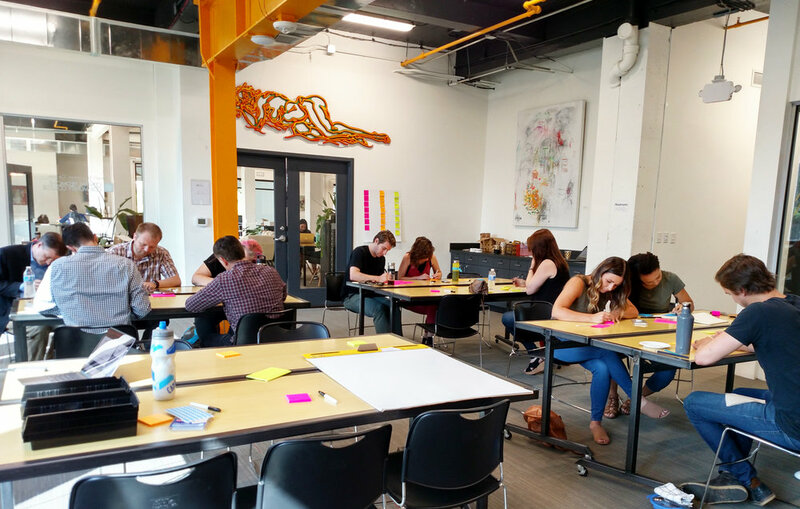 Check out our upcoming Design Sprint Bootcamp with Jake Knapp, the creator of Design Sprints and author of Sprint. Learn more about our Bootcamp at wilysprints.com. Eric Gorman is owner and designer at Wily, an agency that makes design easy so people can unlock their genius. Eric has helped design and deliver Design Sprints for Fortune 100 and 500 firms, federal and city governments, and nonprofit institutions. Follow him on Facebook (fb.me/eric.j.gorman) and Twitter (twitter.com/ericjgorman).